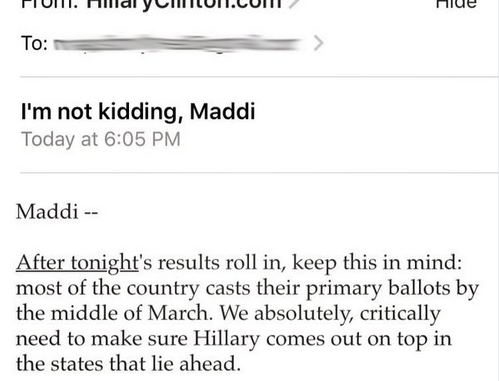 A woman named Maddi sparked a social media firestorm when she posted what she says is an email she received from Hillary Clinton’s campaign asking for a dollar. The result has been an avalanche of memes under the hashtag #ImNotKiddingMaddi. “I’m not kidding, Maddi, I’m asking you to give $1 right this second. Can you chip in?” the email ended.